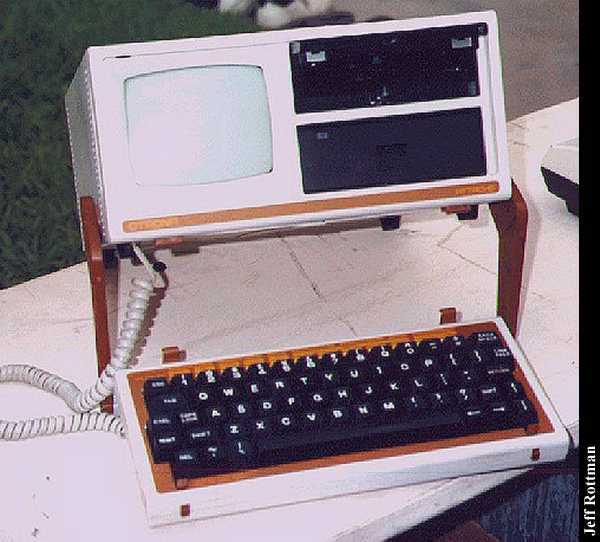 The "Otrona Attache" is a small portable CP/M based computer with 64 K of memory. 1 or 2 Floppy Drives, each holding 360K. The unit was being built and sold during 1983-4? from a firm in Colorado. The Attache is 12 inches wide, 13.6 inches deep, and 5.75 inches high. It weighs 18 pounds. It includes a 5.5 inch 80x24 line amber on black built in sceen and a carrying handle built in. The keyboard is detachable and attaches over the front of the display and drives for mobility. The central processor unit is a Z80A running at 4 Mhz. The power supply can run on U.S. or foreign current. The keyboard provides tactile feedback and a selectable key click sound from the units built in speaker. 2 identical full function ports (Serial) may be used to attach printers, modems, or other equipment. the 15 pin connectors are RS-422/423 connectors. The unit has a battery backed clock calender, and comes with some utility software combining several of the usual disk functions in CP/M. The software included also includes a "Valet" program to switch out of a program and do a calculation, set an alarm, or do a screen dump. The "Charton" program is a chart drawing program. Click here to view all comments for the Otrona Attache and to leave your own. 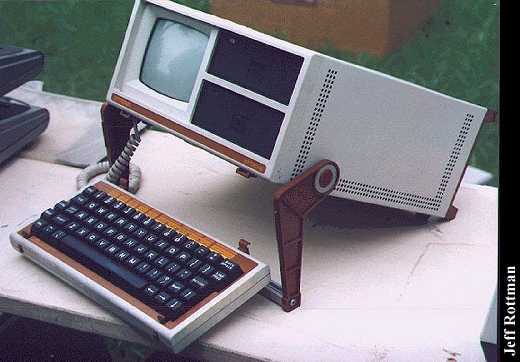 Click here to view comments about other Otrona computers.